As we go to press, event # 11, the second $1,500 Limit Texas Hold’em of the Series (last year won by Mark Seif), will have just finished while event # 12, the $5,000 Omaha Hi/Lo (last year won by David Chiu); # 13, the $2,500 No Limit Texas Hold’em (2005 won by Farzad Bonyadi); and # 14, the $1,000 No Limit Texas Hold’em, will all be in progress. We’ll catch up with those in the next round-up bulletin. Today (9th July), Event # 15, the $1,000 Ladies No Limit Texas Hold’em is starting. This event was famously won last year by actress Jennifer Tilly who went on to prove that was no fluke by winning the WPT Ladies Night No Limit Hold’em Invitational at the Bicycle Casino. Also today, Event # 16 starts and this is one of the “major” events here, the $10,000 Pot Limit Omaha, which was peppered with Europeans in the cash last year, and saw the famous “slowroll” bust-up between the UK’s Simon Trumper and the USA’s Barry Greenstein that had the chat boards on fire for days. Simon came 5th that time (behind winner Rafi Amit and 4th placed UK veteran, Derek Baxter) and will be looking for a repeat or better this time, as this is one of the three big events Simon is playing backed by his sponsors, Purple Lounge Poker. Monday 10th July sees another $1,000 No Limit Texas Hold’em contest, event # 17. Then on Tuesday, 11th we have # 18, the $2,000 Pot Limit Hold’em event, won last year by the USA’s Edward Moncada. 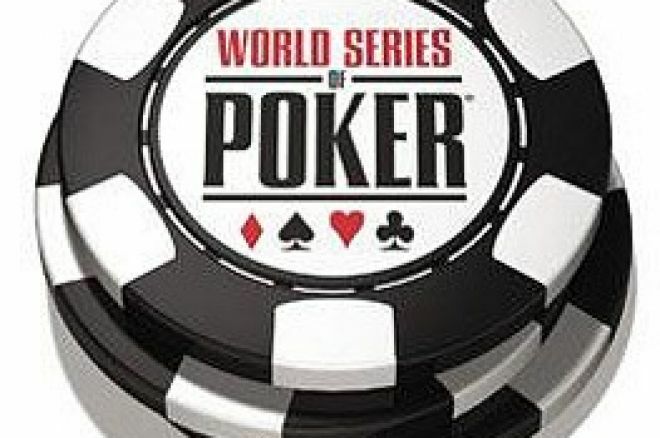 This is followed by Event # 19, the Seniors $1,000 No Limit Texas Hold’em, won last year by Paul McKinney of the USA adding to an impressive list of WSOP results over the years. To conclude the outlook for the coming few days, it is worth savouring the next event on the WSOP schedule. Event # 20 is a new development. Not the event itself but the buy-in. At a whopping five times the size of the Championship Event buy-in, this is the $50,000 HORSE Event. The casino can safely put up a big sign on the door here “For Big Boys and Girls Only”! It promises to be a storming event – and certainly exclusive. This is arguably a truer test of champion poker players than the Main Event itself. Return here for more on the HORSE event and of course plenty of results and schedules later in the week. Ed note: Join Simon Trumper and download Purple Lounge Poker for a huge $1,000 bonus!